Some of the telephone equipment. 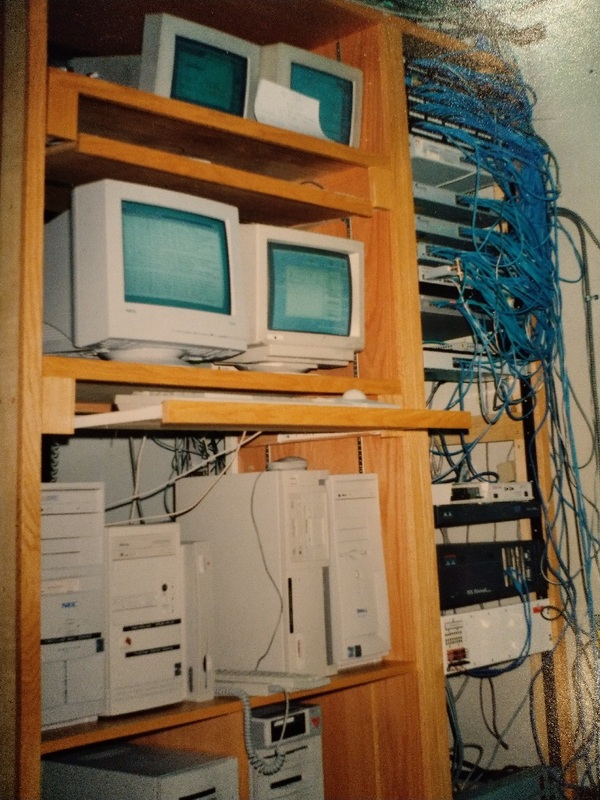 Old KSU (key service unit) system in the background, and the newer (at the time) Dell server which housed our NorTel phone system PBX. I appologize for forgetting this guys name... 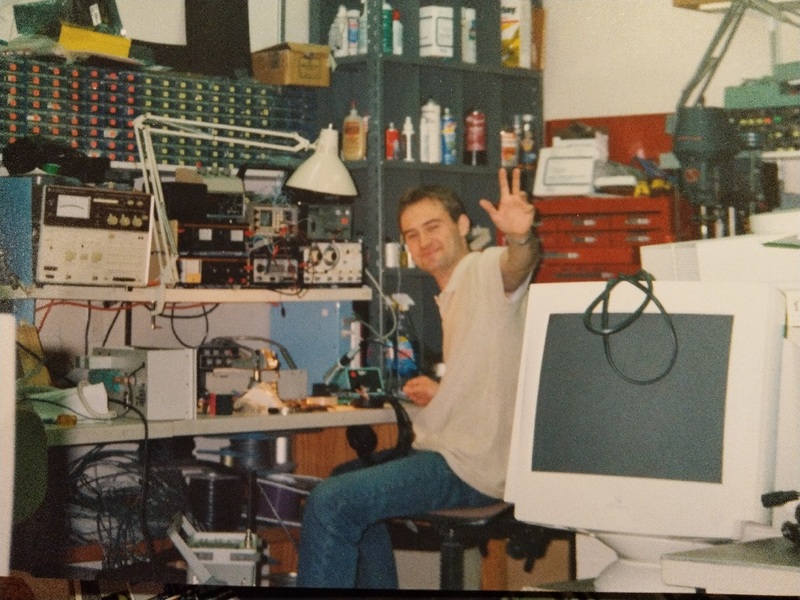 But he was a technician in the Engineering department for a short while when I started there. Our switchboard for broadcast lines we would lease from Bell. This was before the days of cell phones and VoIP. For decent quality audio from places like bars and events, when we were on remote, we would need to order dedicated broadcast quality balanced and equalized 15k lines from the phone company. 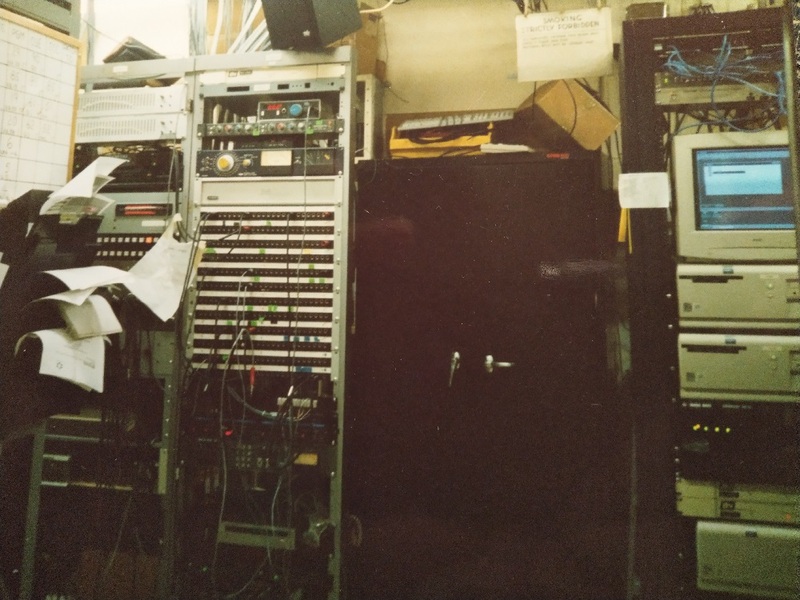 There was a whole department of Bell Canada, in Toronto at the time who had their own crews, whose sole responsibility would be for establishing and installing these leased, often temporary lines. Every time a line was installed, we would get a call from Bell, and we would be on a conference call with about 4 or 5 techs, all along the route of the line. The tech at the destination would send tones, and I would measure them at the radio station with the meter above the switchboard. We would make sure it was a flat frequency response from 50Hz to 15kHz. Sometimes the techs in the field would have to adjust the local amps and equalizers to compensate. My favorite cart! I used this thing everywhere... for so many things. Who knows what sort of equipment could of been mounted to it from day to day! 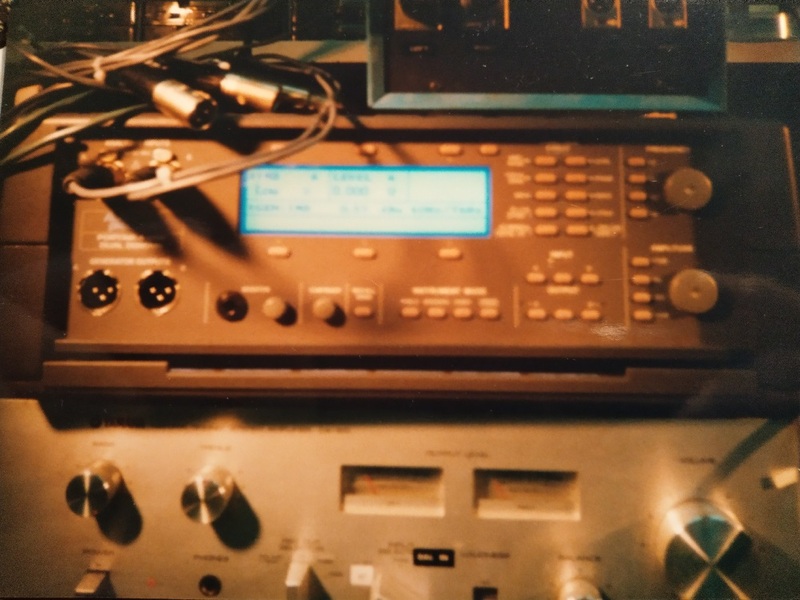 The old band mixing setup. Before I revamped it and made it more portable. 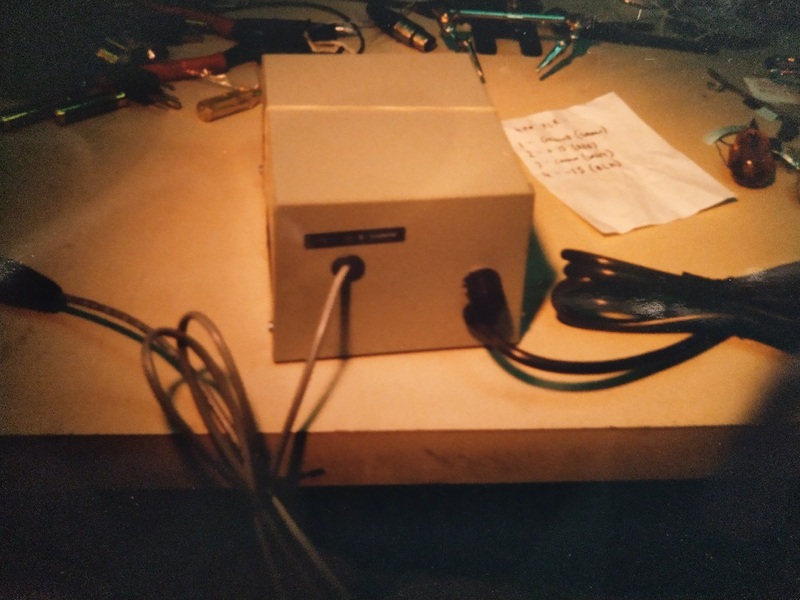 A power supply I had to build, to replace a blown power supply in an audio processor, which fed audio to our shortwave transmitter. This is the audio processor in question. It was left out of the rack due to a suspect grounding issue causing the problem. 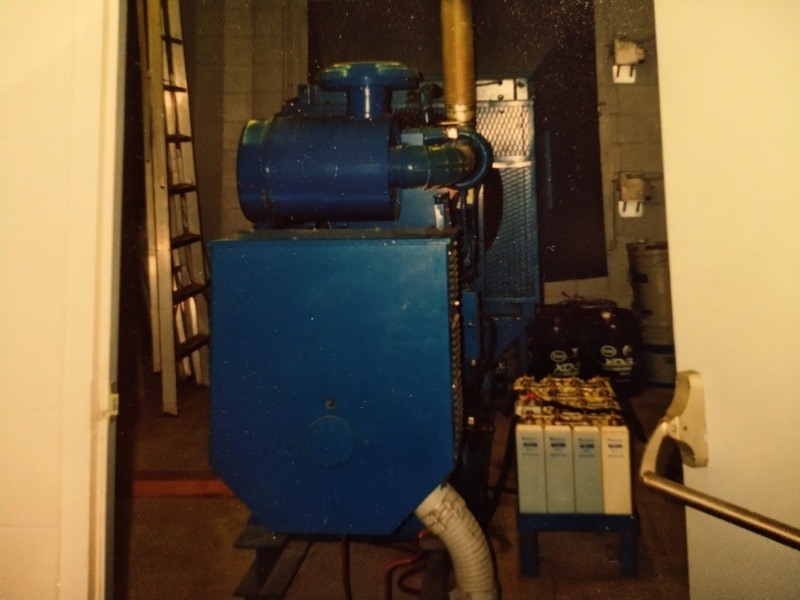 The Generator for the AM Transmitter. Was rated at about 120kW as I recall. 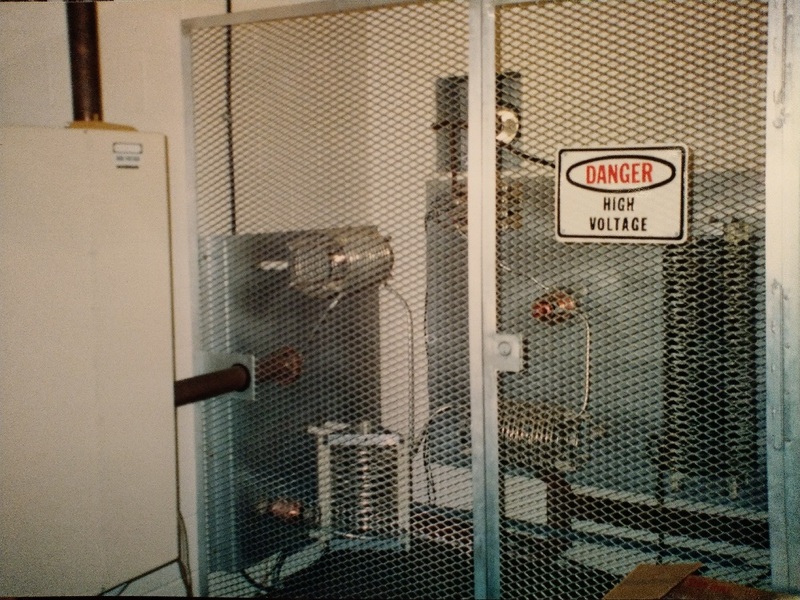 The tuning cage for the Omnidirectional antenna. 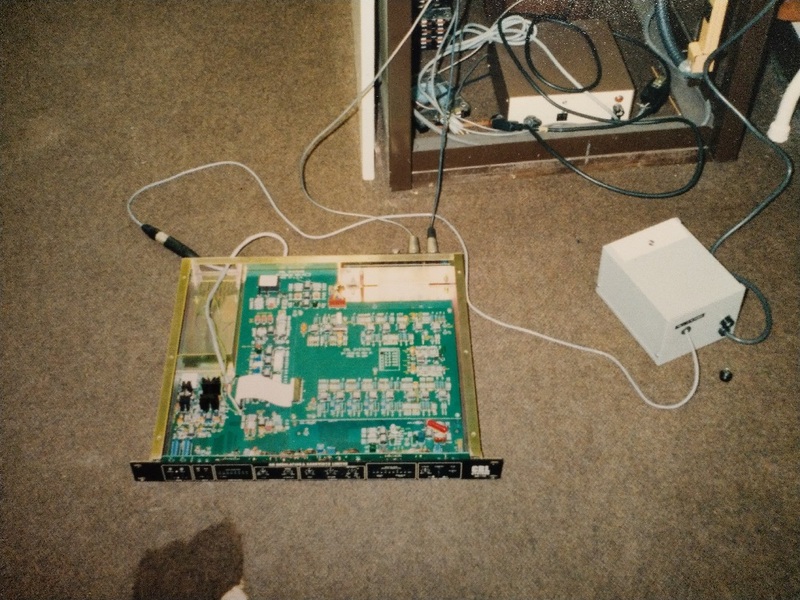 The panel on the wall was the RF antenna selector. The copper pipes going into it are actually the coaxial antenna feeds. A very nice Audio Analyzer. 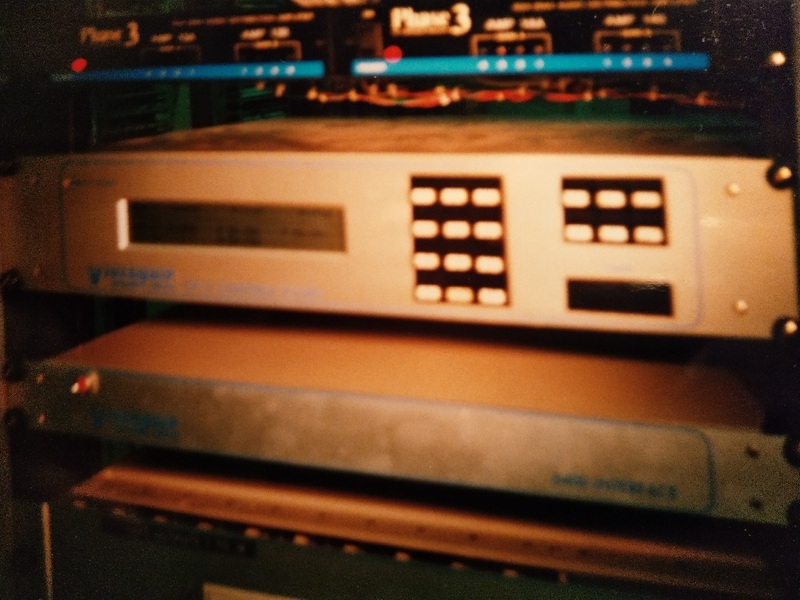 An Audio Precision ATS-1. This thing was amazing. I loved using it. 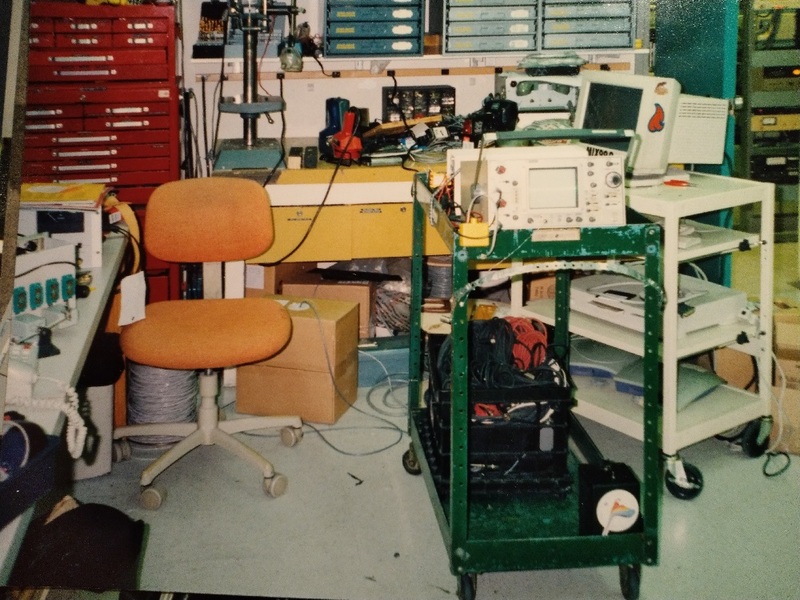 Would love to be able to own one for my personal testing bench. 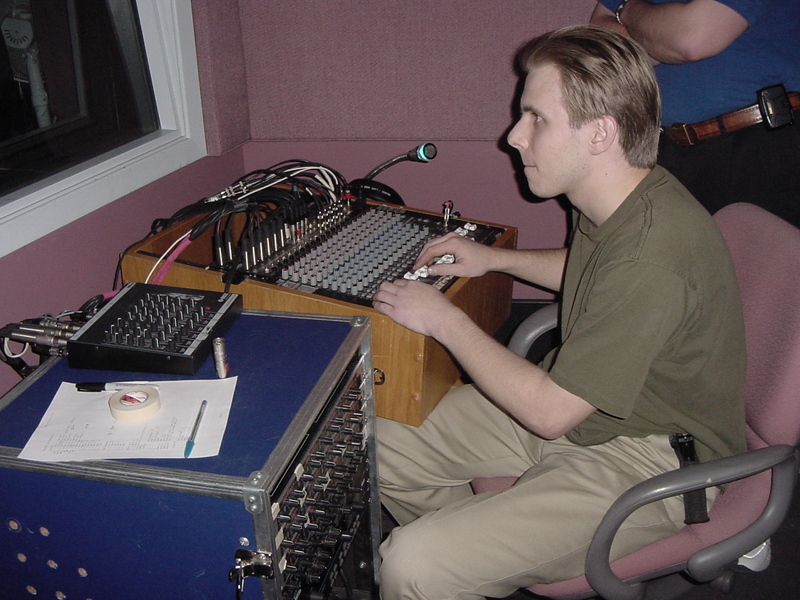 A VideoQuip audio matrix switcher. I believe we had 128 inputs and 64 outputs... Tho I could be wrong on that. McCurdy channel module. 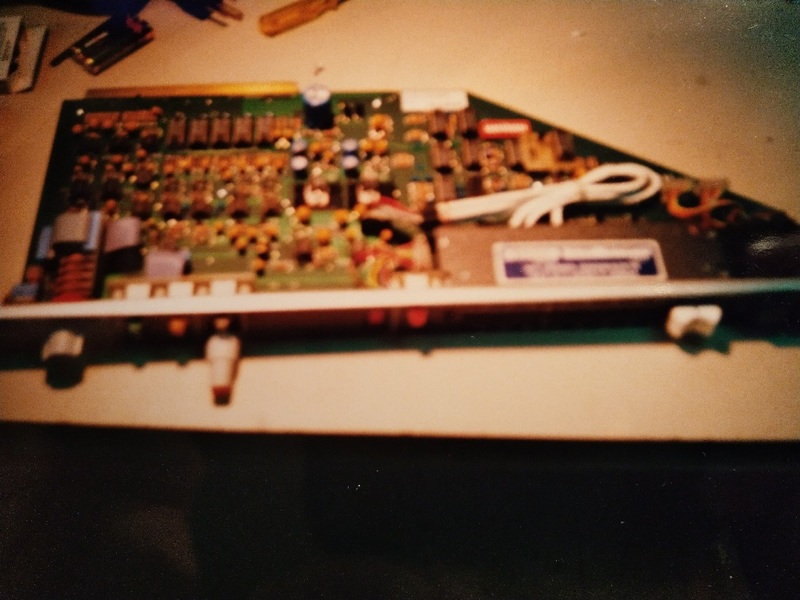 I often had to replace Op-Amps in these. 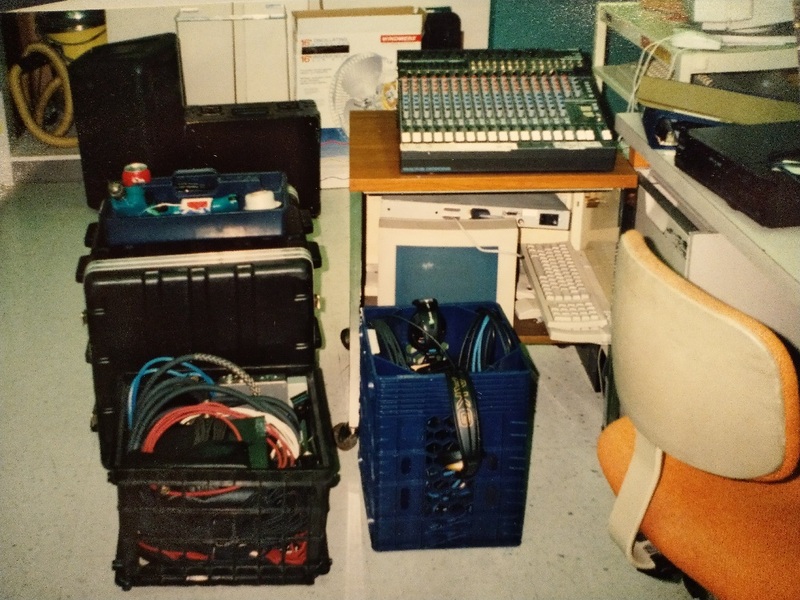 Also, the pots, and the fader often needed work. The fader alone costs about $1000 at the time. The parts would wear out and need to be replaced and maintained. But the quality was amazing! 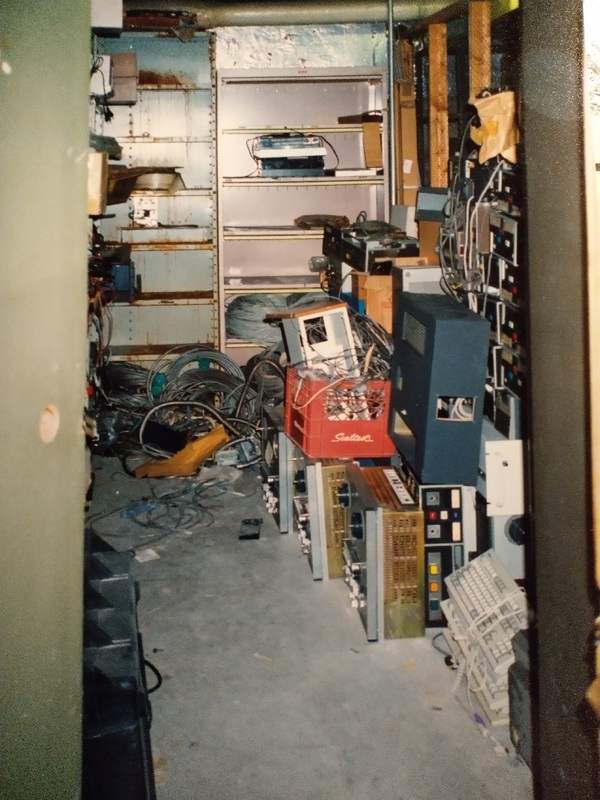 One of the basement store rooms. Look at all those Reel-2-Reel machines! 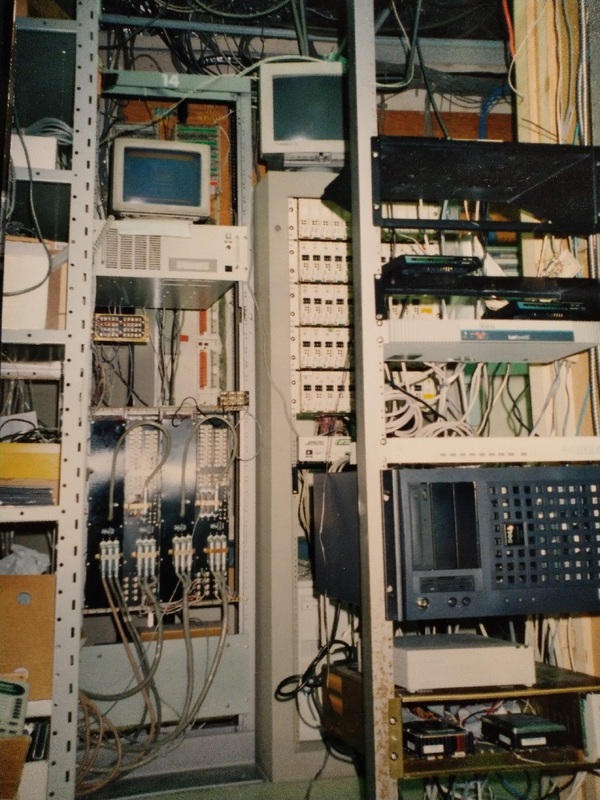 This was our email and network rack for the internal network. Such a setup would be a joke now. 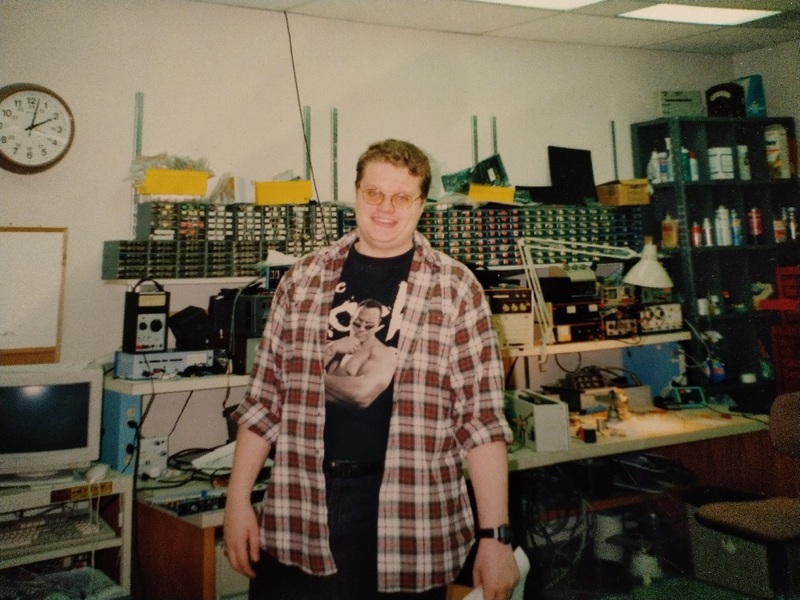 One of the board ops at CFRB at the time, stopping by the Engineering department.